May 1st is a public holiday in France. Post offices, banks, shops are closed. Outside of tourist areas, restaurants and cafes are also closed (Amboise, luckily for us, is a magnet for tourists). 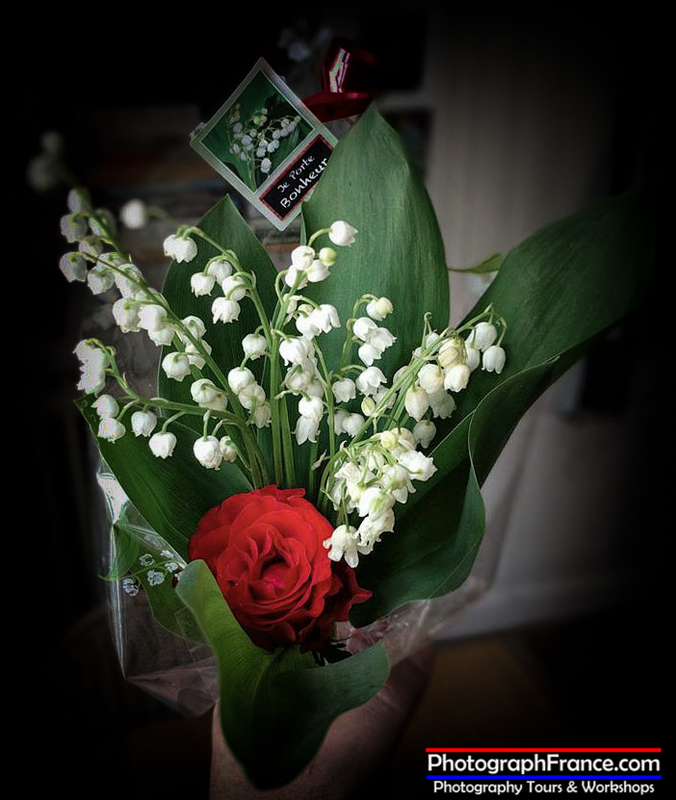 La Fête du Muguet (Festival of the Lily of the Valley) celebrated on May 1st, is a tradition thought to have started with Charles IX when he was presented with a bouquet of lily of the valley to wish him good luck on May 1st, 1561. He liked the gesture so much, he thereafter presented the flowers to the ladies of his court each year on this day. The date was hijacked by Socialists and Communists to campaign for workers’ rights and was renamed International Workers Day or Labour Day. Trade unions and other organizations hold marches and demonstrations to campaign for social issues. It started in solidarity with 35,000 workers in Chicago USA when on May 1st 1886 they walked out of their jobs demanding an eight-hour working day. Of course, workers of today are grateful for and benefit from their struggles but why could they not have chosen another day? Any day? The eight hour working day was officially introduced in France in 1919 but it was not until 1948 it became a public holiday, Fête Internationale des Travailleurs (International Worker's Day). In the 1900’s, Frenchmen revived the old Royal tradition of giving lily of the valley to people they were fond of and presented sprays of the flower to their sweethearts to show their affection. Today, the flowers are given as a token of appreciation between family members, friends and close neighbours.